Laser-engraved and hand chased. White heat-treated steel finish. Walnut grip. 45 Colt 6rd 5.5''. Case hardened frame. Blued backstrap trigger guard and barrel. Walnut grip. 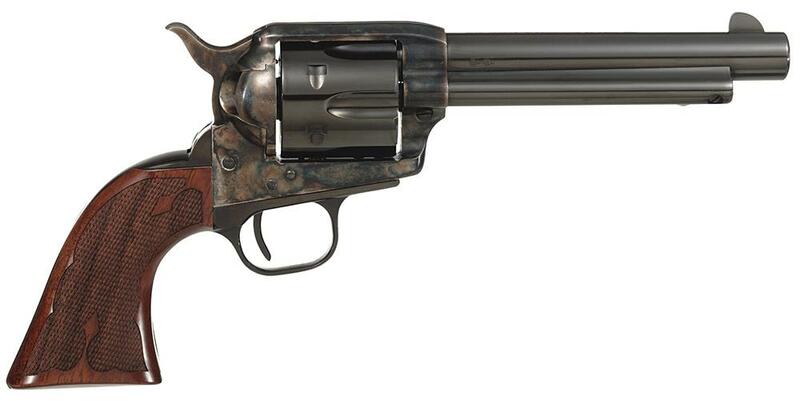 45 Colt 6rd 5.5''. Case hardened frame. Blued backstrap trigger guard and barrel. Walnut grip. 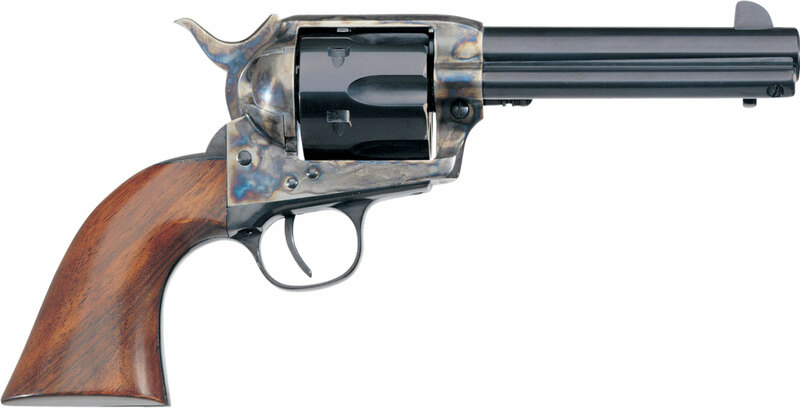 357 Mag 6rd 4.75''. Special Army-sized walnut grip. Case-hardened frame. Blued trigger guard backstrap and barrel. 45 Colt 6rd 5.5''. Laser-engraved and hand chased. White heat-treated steel finish. Walnut grip. 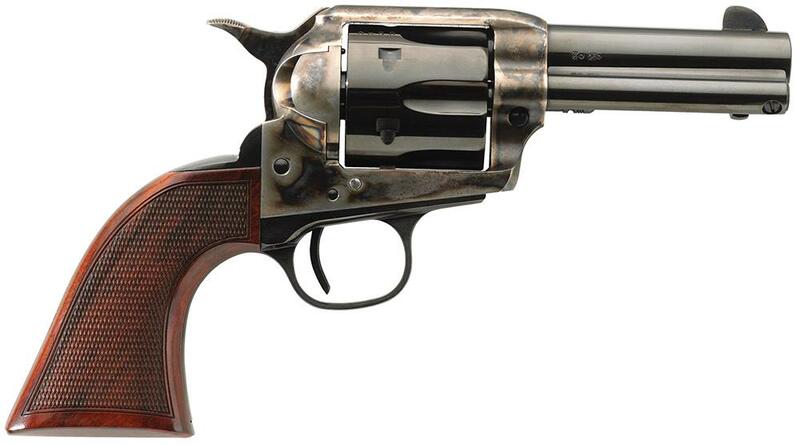 45 Colt 6rd 4.75''.